Gourav Sharma from Indore, B.Arch Graduate. 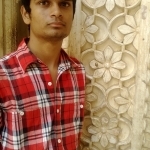 Gourav Sharma is Architect and currently have no work experience. COMMAND OVER COMPUT.. GOOD AT DECISION MA..
are one of expert skill area's of Gourav Sharma . Gourav Sharma is working in Infrastructure industry.